Traditional Japanese Construction Built by Master Craftsmen with Western Accents for a "Taisho Romance" Feel. 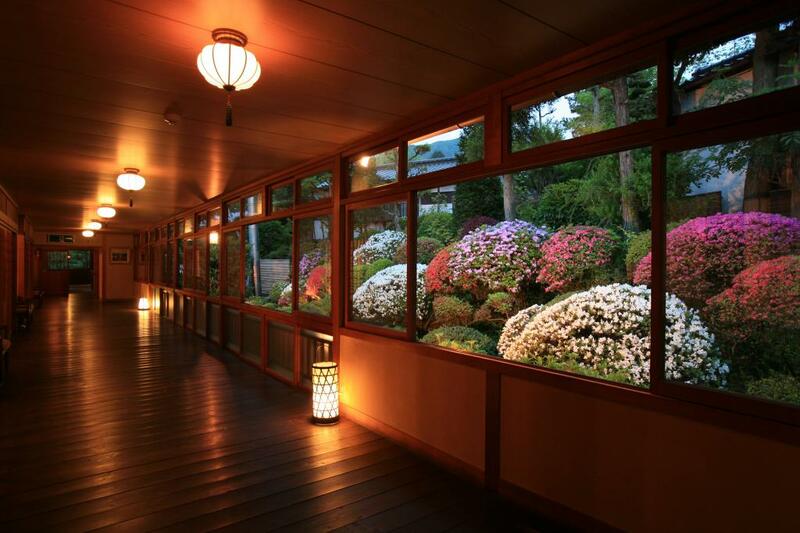 Founded in 1917, Hanaya has 42 guestrooms spread out over 21,450㎡, connected by passageways open to the gardens. No two rooms are alike, and practically the entire complex is a registered National Tangible Cultural Property. Built by the master craftsmen of Bessho Onsen's many historical temples, Hanaya's details in the woodwork will amaze you. Classic lanterns and antiques add to the overall "Taisho Romance" feel. Perfect for that special occasion. Only in the passageways. Hotel is not barrier-free. Being of old-fashioned wood construction, many of the areas require using stairways. Room size and layout vary by each guestroom. From Bessho-Onsen Station(Ueda Dentetsu Bessho Line), 5 min on foot. "Gurutto Bus" shuttle bus also available (year-round except during the New Years holidays).